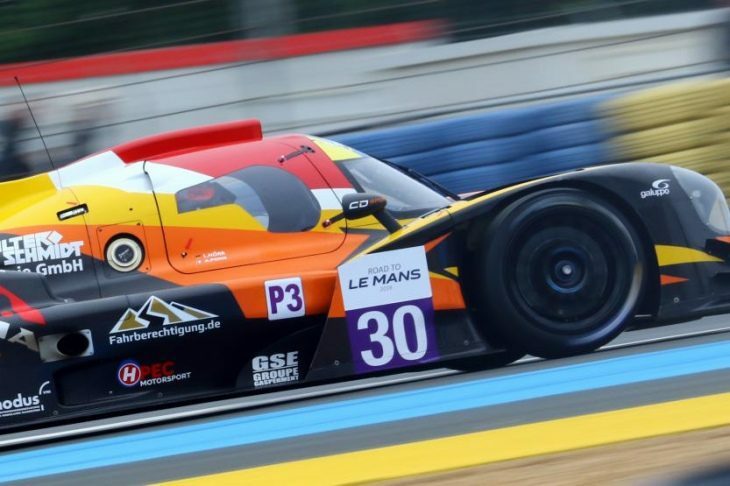 CD Sport ran fastest in the second Road to Le Mans Free Practice session of the weekend earlier today at La Sarthe, Laurents Horr reeling off a 3:50.599. That time from Horr, in the team’s #30 Norma M30, was almost a second faster than the other runners after an hour of track action. Second in the running order, was the #11 Eurointernational Ligier JS P3 of Mikkel Jensen, with a time of 3:51.523, pushing the #9 Cool Racing Norma to third, which had its best time set by Scott Andrews, 2.4 seconds off top time set by Horr. Just outside the top three, after a late flyer, was Alex Kapadia in the #76 Ecurie Ecosse/Nielsen Racing Ligier, the Briton’s time in FP2 a 3:53.259. 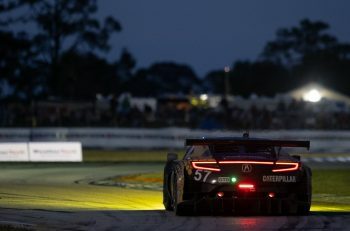 It was a very productive session for the team, which is running five cars in this year’s Road to Le Mans races, three of them breaking into the top 10 in FP2 on pace. Completing the top five meanwhile, was the DKR Norma, Leonard Hoogenboom topping the times early with a 3:53.501, before falling away as the times tumbled late in the session, which was red-flagged with seven minutes remaining. The fastest GT3 time was set by the #71 AF Corsee Ferrari 488 of Pierguiseppe Perrazini, touring the circuit in 3:58.166. That was good enough for 22nd overall, and just 0.13 faster than the second GT3 in the field, the #54 Spirit of Race Ferrari, which finished the pre-Qualifying run with a 3:58.296. Further down the order, it was a tough session for a few runners, notably for RLR Msport. The #14 of John Farano Job and Van Uitert only completing the two laps before hitting trouble. The sister #59 Ligier from the team also lost out on valuable track time, Josh Burdon and Neric Wei not setting a time at all. 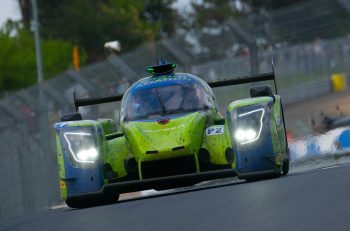 Next up for the Road to Le Mans runners is Qualifying 1 at 13:30 local time.